Motocross and bike games with a trial / stunt element can be extraordinarily addicting. There’s so much fun in going full-throttle and getting “big air”, nobody can deny that. But when you need to be mindful of obstacles, it adds an element of strategy that can be satisfying as well. 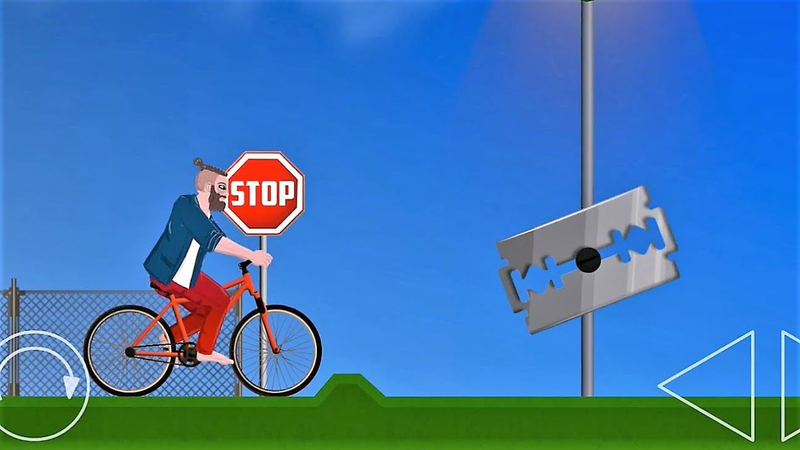 Bike games are available for all platforms, so this article will contain titles that can appeal to everyone, whether you’re playing on Android, PC, or gaming console. Developed by Ace Viral (who also developed the awesome Smashy City), Moto X3M is a fun bike game with cartoon-style graphics. In the beginning levels you’ll get away with going full-throttle, but the levels become more difficult and require a finer touch as you progress. Moto X3M is definitely an arcade simulator, as many of the obstacles are things like spike pits, crates of TNT, and wrecking balls. Moto X3M is available for web browser, Android, and iOS. 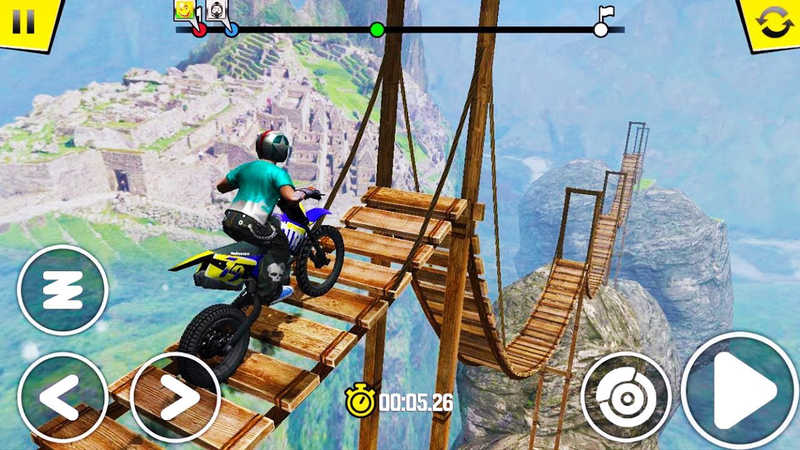 A very popular bike trial series is Trial Xtreme, developed by Deemedya Inc., and the latest title has garnered many high scores on Google Play Store. The 3D graphics are quite fancy for a smartphone game, and the physics are good as well. There are a lot of things to unlock such as bikes and rider outfits, and . The only drawback of Trial Xtreme 4 is the amount of ads it contains, but a single in-app purchase will remove all ads. Trials Xtreme 4 is available for Android and iOS. A sequel to the popular Short Life, this game is a twisted take on the bike trial genre. The original Short Life was a runner-game with bizarre, bloody gameplay. Obstacles were things like chainsaws, which could chop off your character’s legs and leave you crawling to the finish line. Short Ride ups the ante by introducing bikes to the gameplay. So it’s basically Short Life on bikes, which sits just fine with us. Short Ride is available as a web browser game. Indie development studio RedLynx has a long history of making awesome games since 2000, to the point that Ubisoft acquired them in 2011. Their Trials series has been published on many platforms, including Steam and Xbox console. In fact, their upcoming game Trials Rising is set to be released on Microsoft Windows, Nintendo Switch, Playstation 4, and Xbox One. Talk about rags to riches! 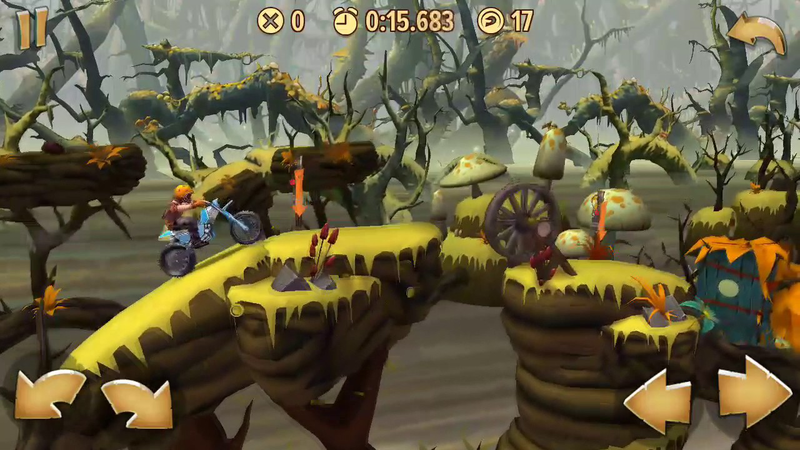 Trials Frontier is available for Android / iOS, and goes alongside Trials Fusion for Windows and consoles. By connecting your Trials Frontier account to Trials Fusion, you unlock new outfits for both games. 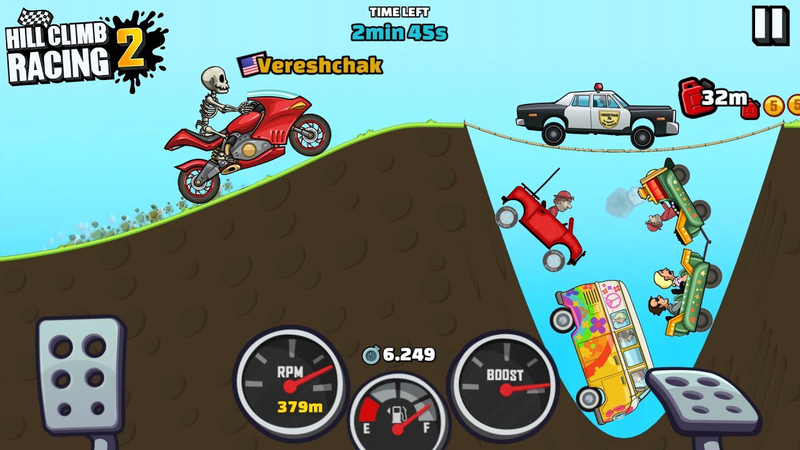 One of the most well-known trial games, Hill Climb Racing 2 is not focused exclusively on moto bikes. A staple of the Hill Climb Racing series has been its wide selection of vehicles, from the simple jeep to the outlandish rocket-powered lunar rover. However, moto bikes do appear in the game, and can be quite advantageous when used. For example, players could rack up massive amounts of points in Hill Climb Racing, by playing the moon level and doing thousands of backflips. This was a well-known way to grind for cash to unlock new vehicles. Hill Climb Racing 2 is available for Android, iOS, Windows PC, and Xbox console. Psebay: Gravity Moto Trials is a really interesting bike game. The graphics are set in 2.5D, but with a really soft, pastel color palette. In a way, Psebay appears almost hand-painted. 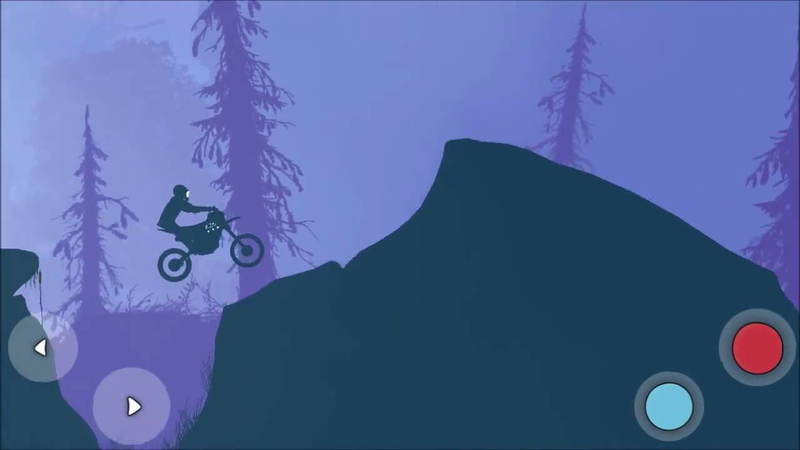 Beneath the pretty surface, however, lurks a fairly deep bike trial game. Physics play a large role, as maps can suddenly flip upside-down, and players will need to quickly adapt to new obstacles. It’s almost like a cross between stunt trials and puzzle-solving. 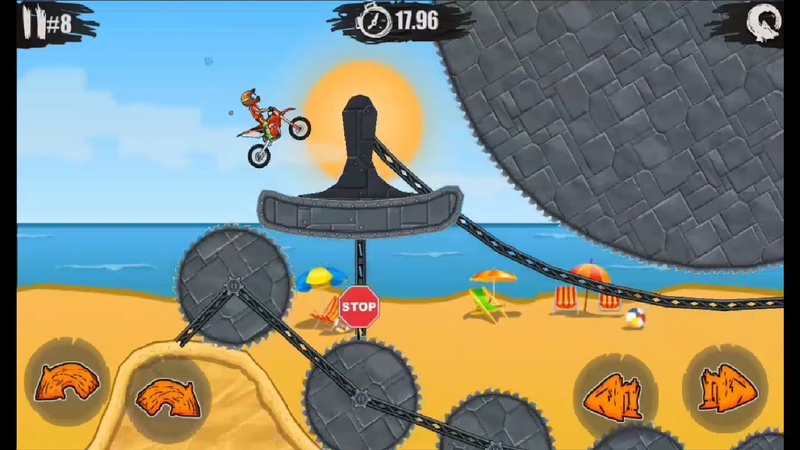 Psebay: Gravity Moto Trials is available on Android and PC (via Steam).